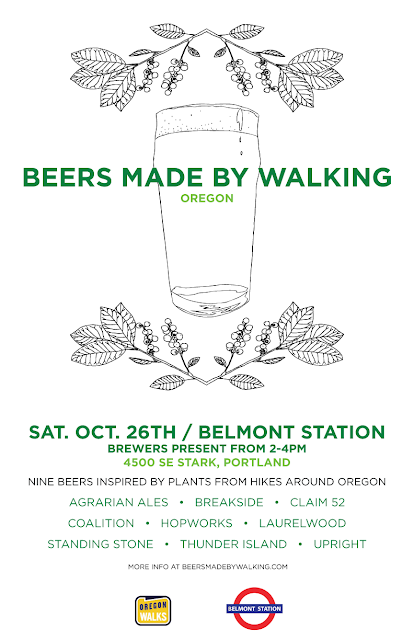 Throughout the summer, nine breweries across the state of Oregon have participated in walks for the Beers Made By Walking program. Our challenge to the brewers is to take a hike, identify edible and medicinal plants along the trail and use the plants as inspiration for a new brew. These nine beers will be available for one day only in Portland, on October 26th, at Belmont Station. The beers will be on tap all day, and some of the brewers will be available to chat from 2-4pm. Each beer in this series is innovative in that they are drinkable landscape portraits of areas throughout Oregon. You'll get to taste a portrait of the Pacific Crest Trail in Ashland, neighborhood trails in Eugene, the Wildwood Trail in Portland's forest park, an urban neighborhood in Southeast Portland, among others. 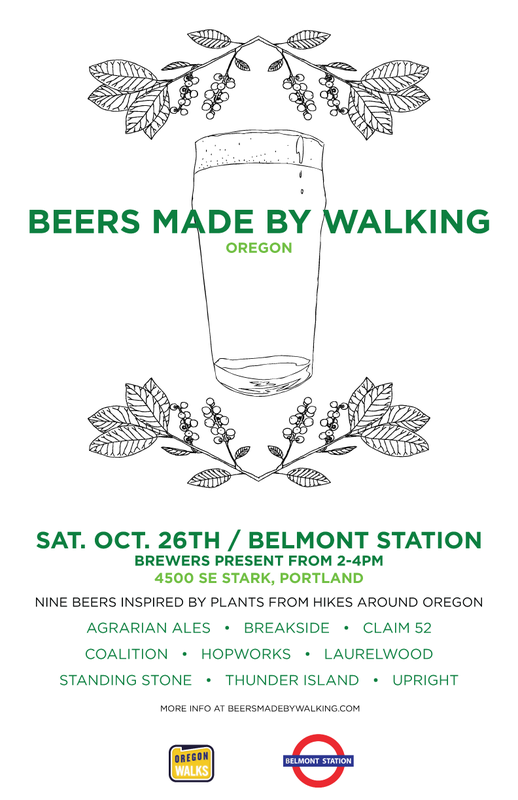 We are very happy to announce that this year, a part of the proceeds from the event will be donated to Oregon Walks. Oregon Walks is a 501(c)3 non-profit organization that is dedicated to making walking conditions safe, convenient, and attractive throughout the Portland metro region. As walkers in this city, we appreciate the work they do.